Chickpea Smash | ya, we're basic. Ok guys, I apologize for the one photo, but I got a bunch of requests for this recipe when I posted it on Instagram that I just decided to share it ASAP. I love this recipe because it’s clean and healthy, and I can eat it while on my wild rose detox. It’s vegan, vegetarian and you can eat it as a meal in a bowl over a bed of rice or as a side with a protein like chicken breast or steak. 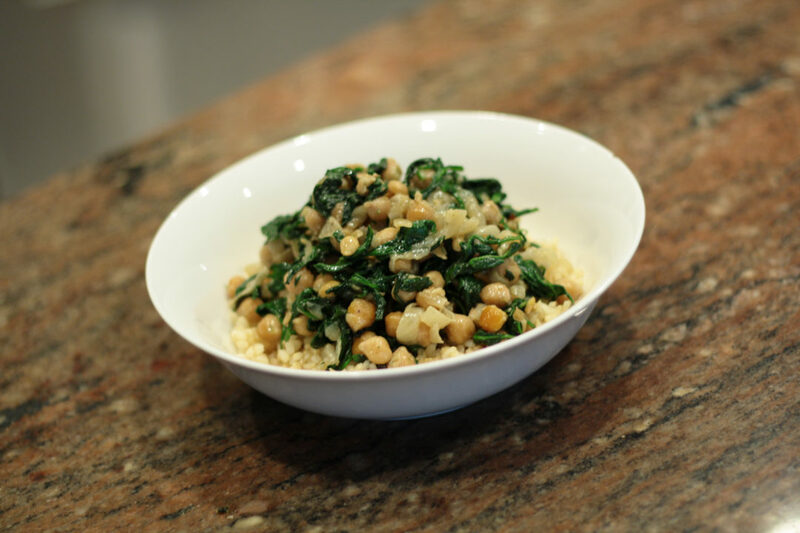 This chickpea smash is seriously my fave and I’ve been making it for years. I typically don’t use salt when I’m on the cleanse, but the sweetness of the cooked onion gives it such a delicious flavor that you don’t need to rely on it. That’s all! It’s really simple and there is not a lot of prep. Also if you’re looking to wow your friends as the hostess with the mostest, you can forego the spinach and use the chickpea mixture on top of a crostini. Simply, drizzle with extra virgin olive oil and a little sea salt to counter the sweetness of the onion for a savoury dinner party appetizer.